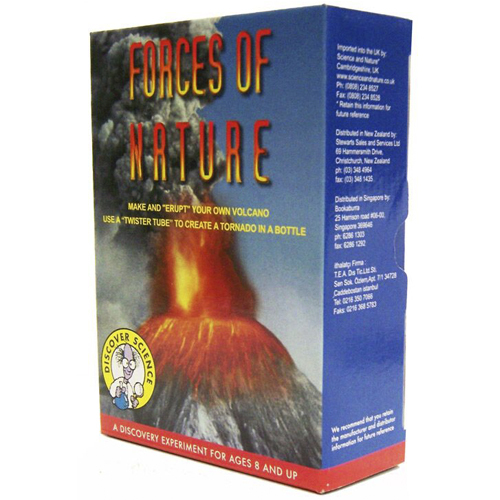 Mould a volcano, paint it and then create an eruption right inside your house with this Forces of Nature Science Kit! This kit includes a sachet of plaster for forming the volcano, a vial to use as the volcano cone, sachets of specially dyed vinegar and bicarbonate of soda to make the eruption happen and a set of paints and brush to creatively decorate the volcano. An information leaflet includes many fascinating facts about volcanoes and tornadoes. This science kit makes a great gift for young scientists, and is a a useful resource for school projects.